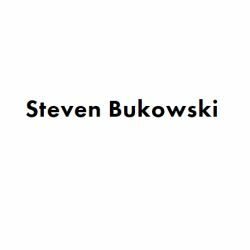 Steven Bukowski is a furniture and accessories designer based in Red Hook, Brooklyn, NY. His work explores the materiality of the design process through the interaction of craft and industry, seeking to form a relationship between the techniques of traditional handcrafting and technology-driven manufacturing. Building on early work in wood and brass, Steven has begun to explore other materials and processes that lend themselves to this vision. With each piece, he seeks to incorporate spatial details that are subtle or ambiguous, inviting the viewer into the work for further observation. Steven founded his Brooklyn-based design practice in 2016. He draws inspiration from a long family history of engineering, fabrication, and craft. From the welding he learned from his grandfather to the meticulous sewing and quilting crafts created by his grandmother, Steven finds beauty in the process of making useful and aesthetic objects.